" Liar-Liar Money on Fire"
That’s just a load of B.S., Ben. 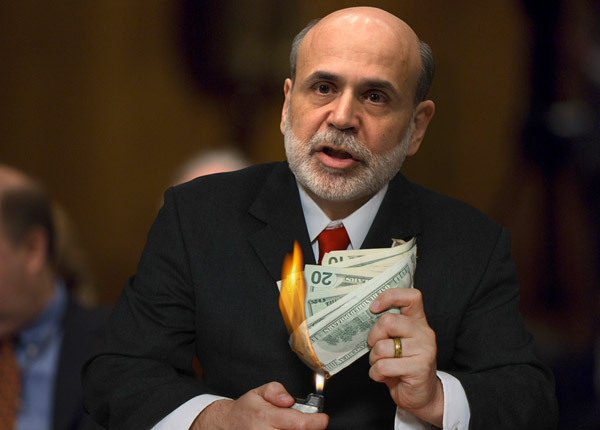 Here’s what we’re dealing with in the food aisle, Mr. Bernanke. 15% reduction in product, same great price? Click here for a slide show of other products with Shrinking packages as food prices rise. Burning our buying power Photo. 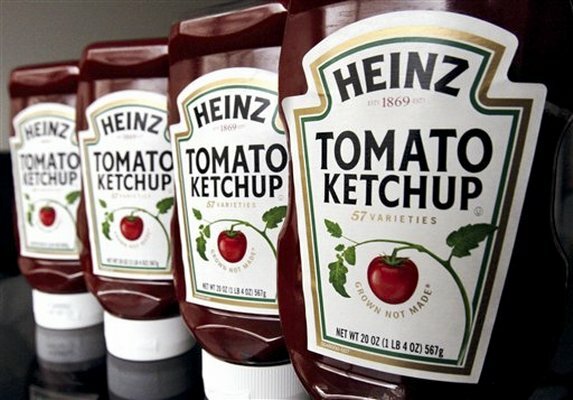 Heinz photo and facts . Inflation: In our shops we see it in raw materials. 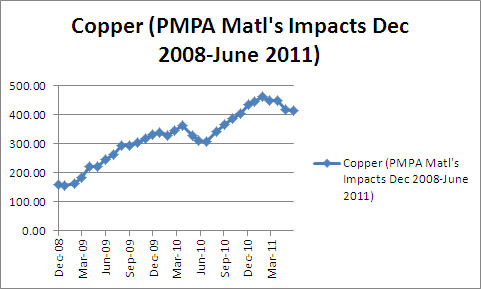 Copper up 159% since December 2008. Look at these facts very, very carefully, Ben- baby. Paying more while getting less than we used to- that’s what we call INFLATION. We wonder just what it is that you think inflation is? This entry was posted on Thursday, June 23rd, 2011 at 2:52 am and is filed under Front Office, Shop Floor. You can follow any responses to this entry through the RSS 2.0 feed. You can leave a response, or trackback from your own site. I understand what you’re saying but perhaps the silver lining is portion control? Well that may be true for foods, but when we need a ton of copper or steel, it needs to be the full ton, not the new and improved one. Thanks for the thoughtful comment!